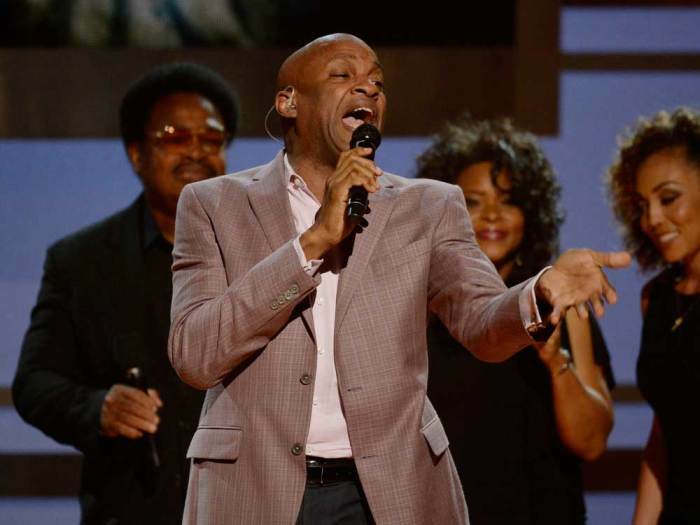 Donnie McClurkin is back with his first new song since 2014 and the Grammy Award winning gospel singer is already making waves with one of the most added songs on gospel radio stations. The three-time Grammy Award winner with 11 Stellars and three Doves under his belt released his latest single "I Need You" as an "earnest expression" of his faith, says a statement shared with The Christian Post. The song is the first since McClurkin's 2014 DUETS album which he collaborated on with artists Dorinda Clark-Cole, Tina Campbell, John P. Kee, Marvin Sapp and Tye Tribbett. And now, his latest work is serving as a precursor for the gospel singer's upcoming seventh solo album, for which a name and release date has yet to be announced. During the past two years, McClurkin has been traveling the world to minister at various events in between music tours. Last year he was part of the Festival of Praise tour along with fellow ministers of song Kim Burrell, Jessica Reedy, Fred Hammond, Isaac Carree, Zacardi Cortez and Hezekiah Walker. McClurkin has been touched by the power of gospel music and told The Christian Post in 2014 why he believes fans of all types of music can still appreciate the musical genre in which he has made a name for himself. "Gospel music is the root music of jazz, it's the root music of R&B, it's the root music of pop and so on. Anybody who's into music, whether they're gospel heads or not, will always appreciate music," McClurkin told CP. "Just like some of us gospel heads, we appreciate the Beyonces, we appreciate the creativity of the Ushers and folks like that because music attracts musical people." Aside from impacting people with the music he makes, the 56-year-old pastor of Perfecting Faith Church in Freeport, New York, has his own syndicated radio program, "The Donnie McClurkin Show" on WBLS FM. Last year, his program pulled in the highest ratings the station has ever seen during its 5 a.m. to 6 a.m. time slot. "Donnie has the No. 1 radio program in its time slot in the entire New York radio market. The current ratings are the highest that I have ever seen," WBLS/WLIB Operations Manager Skip Dillard said in a statement to CP. "Donnie is number one by a large margin because it is a great show." During a previous interview with CP, McClurkin reflected on his ability to take part in so many ventures and how God gives believers the ability to take on life's daily challenges. "The definition of grace is the supernatural ability to do what you cannot do in the natural and God graces us to do what He's called us to do," he told CP. "He put just enough hours in a day, just enough days in a week and just enough weeks in a month for us to accomplish things."